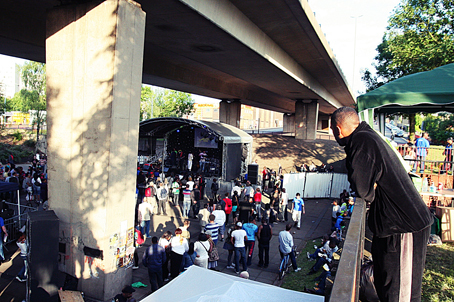 The Flyover Show is a free, family friendly, one day music event in which organisers ‘transform the grey space beneath the Hockley Flyover into an oasis of cultural expression’. 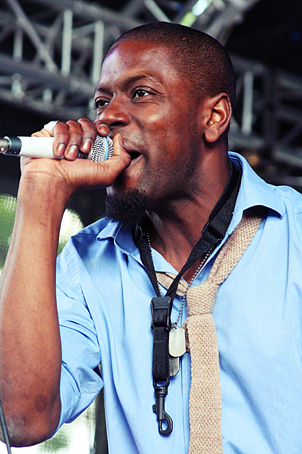 Now in it’s forth year, the brainchild of MOBO award winning Jazz saxophanist and hip hop artist Soweto Kinch will showcase a bevy of artists. From Goldie to Julian Joseph, Akala to Omar, the line up represents a spectrum of Jazz, Hip Hop and breakbeat, but with Birmingham recovering from a sweep of civil unrest what does this ‘community inspired festival’ really hope to achieve? 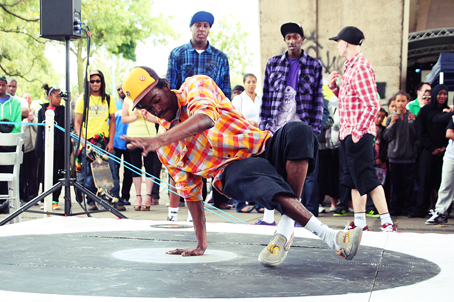 Soweto lives a stones throw from the Hockley Flyover, walking through it each day being the inspiration for the Flyover Show. Headlining this year’s event is Goldie, an established producer, DJ and graffiti artist who grew up in Wolverhampton.